Spidean Mialach and Gleouraich are connected by a ridge on the N side of Loch Quoich. They form grassy corries to their S but to the N their character is very different with high craggy corries and rocky slopes. The S slopes are consequently more accessible, particularly as stalkers paths run high on their slopes. 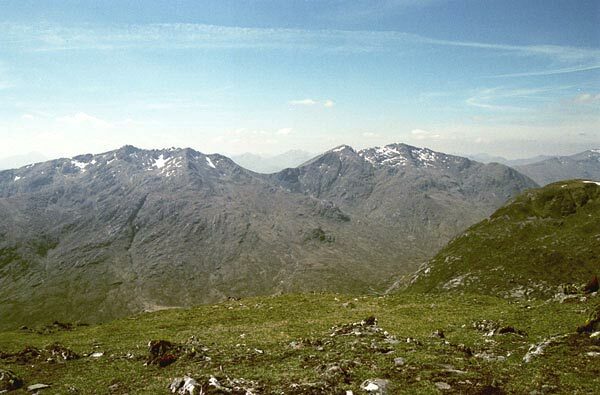 From the summit of Spidean Mialach a ridge runs WNW 2.5km along the rims of successive N corries to Gleouraich. To the E this ridge continues a further 3.5km before losing its rocky nature. 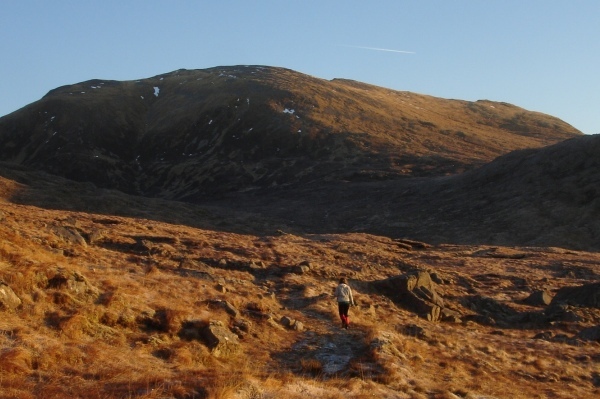 A descent SW from the summit of Spidean Mialach on steep grassy slopes leads to a path W of Loch Fearna. Spidean Mialach viewed from above the col with Gleouraich. Spidean Mialach and Gleouraich from Creag a' Mhaim. 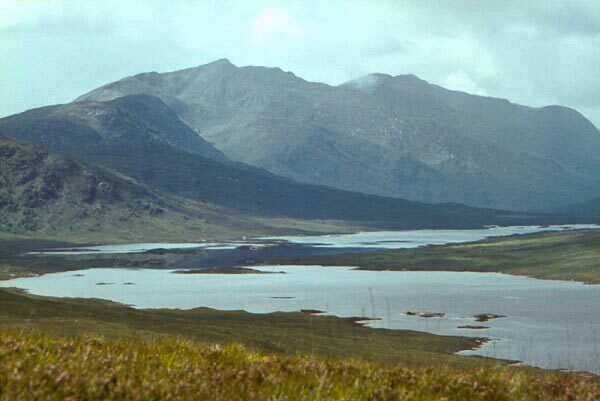 Spidean Miallach (left) and Gleouraich (beyond, right) seen across Loch Loyne. Telephoto shot from the A87 road. 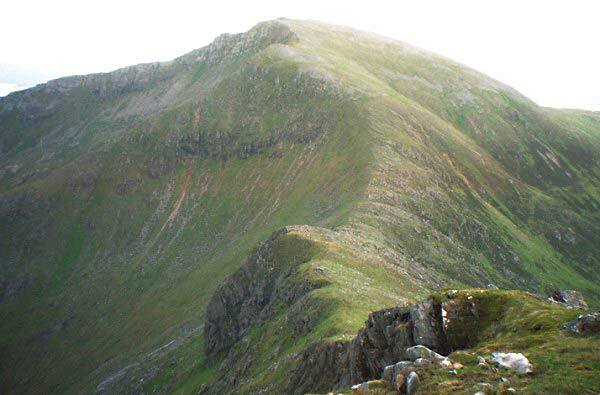 The summary information of one or more ascent routes that include Spidean Mialach. 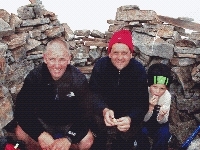 1 1230 m 10.59 km 4.5 hrs Gleouraich and Spidean Mialach Moderate route with some exposure and an excellent ridge walk. Summit of Spidean Mialach, after the mist finally cleared! 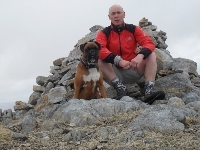 Me on summit with Oscar,(9/5/10). Post a few words about Spidean Mialach or read what others have had to say. An airy summit with drops on three sides. In winter beware the cornices which come almost up to the shelter cairn. Not advisable to try to find the top if visibility is bad.